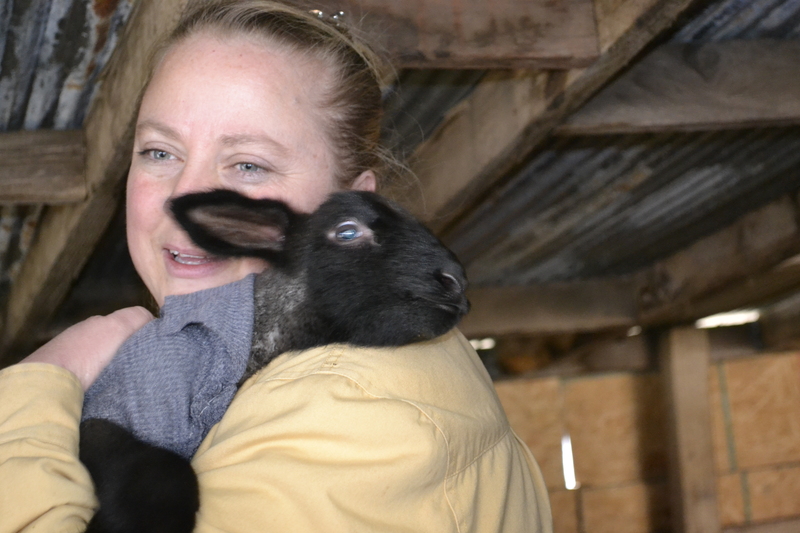 Today’s blog is for those of you who read my blog a bit over a week ago about the Sheep Show we attended. 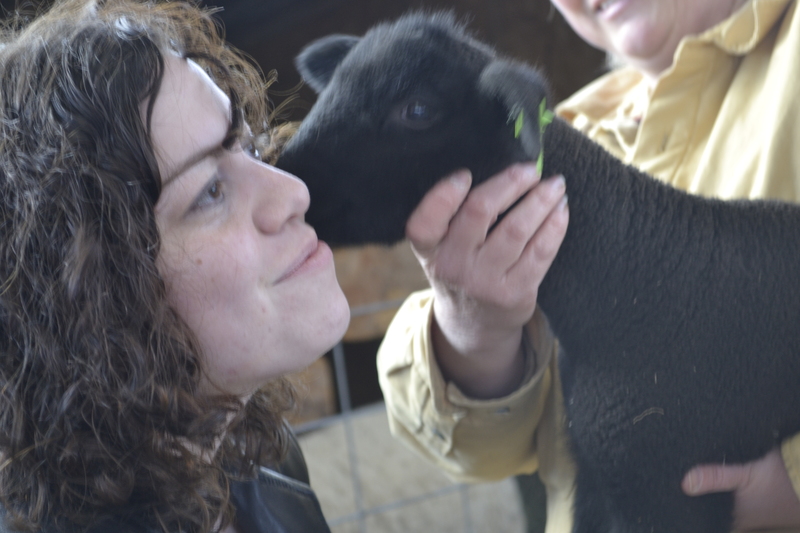 If you haven’t yet read that entry, you might want to do that before reading on… https://stuffitellmysister.me/2012/02/25/sheep-show-me . On Friday, I received a text from Tammy, mother of Isaac, who was the young man in the previous blog. They had another mama about to give birth to twins and she wanted me to pray that all would go well. On Saturday, me, my hubby, Chi and Angie, (my son and his wife!) went for a visit and were overjoyed at what we saw. Meet Emma and her two new babies, Napoleon and Jester. They are one day old here and doing well! 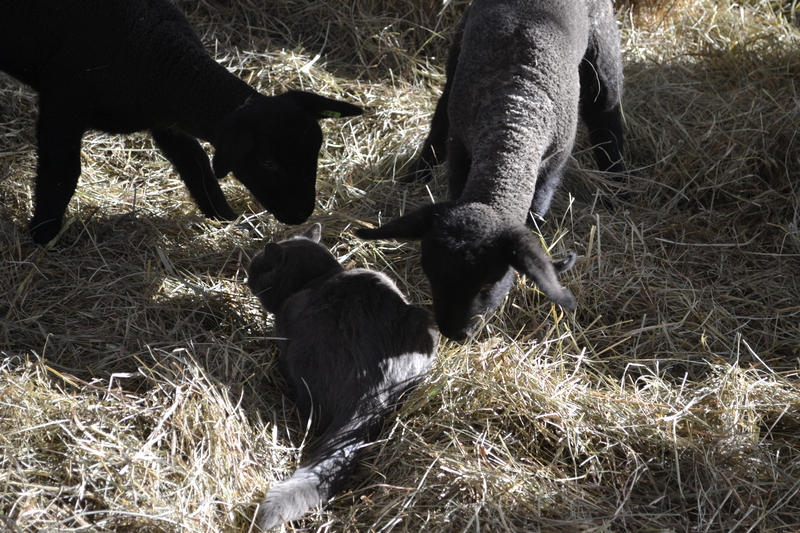 Here are the two-week old twins, Snickers and Violet. (born Feb 17) They are extremely curious about Pookey, the kitty. 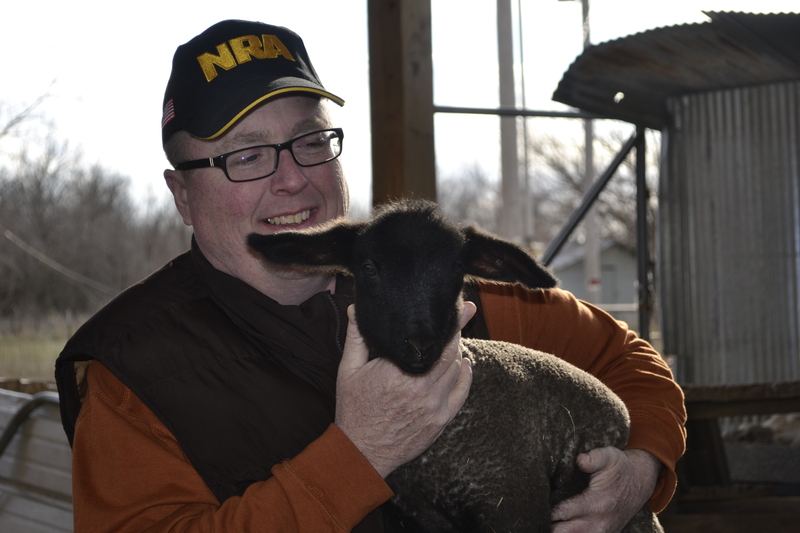 (Their mama is Serta….perfect name for a sheep, don’t you think?!) These little gals were very cute and talk about energetic! Meet Doogle. 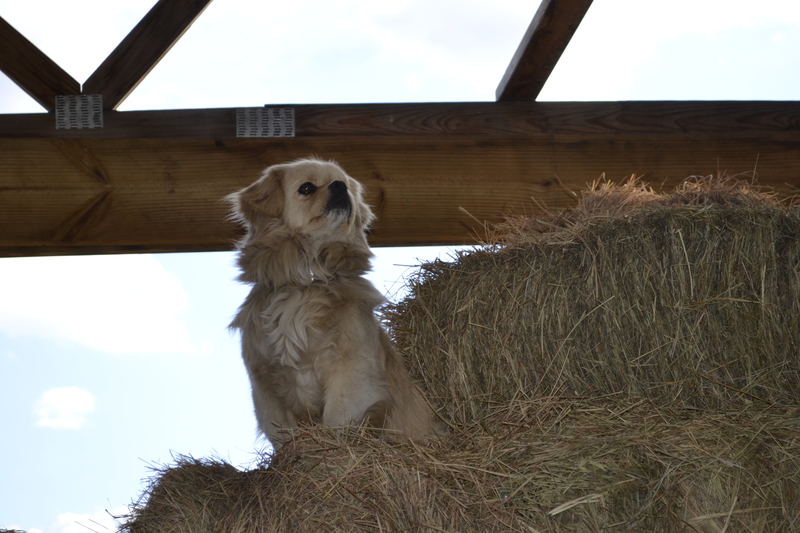 He is king of the barn and watching over everything! 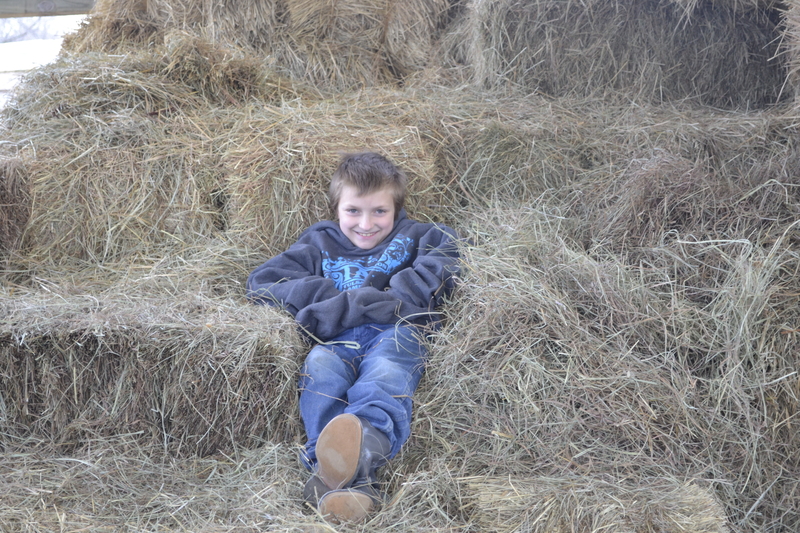 He helps bring the sheep in, when needed. Marvin and one of the two-week olds. 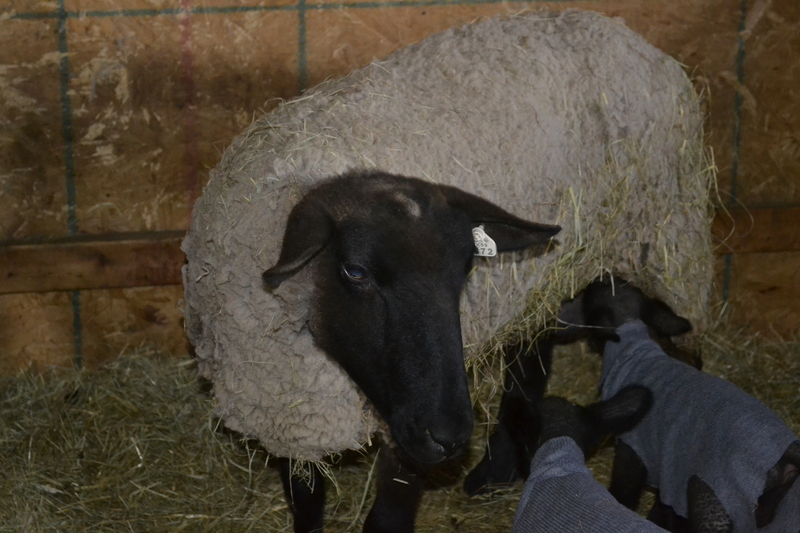 This entry was posted in Uncategorized and tagged baby sheep, isaac, revisited, sheep. Bookmark the permalink. Another great story! Everytime I read something like this, I think about how much “city” kids miss. It requires an extreme amount of hard work,time and dedication. It is so much more than a “hobby”! So happy for Isaac and his family!! Looks like things are looking like success is in his future!! Thanks so much for sharing this very positive story……Good things happen to ones that persevere!! Congratulations on your new family of twins Isaac!! He was very proud and excited to share them with us. I couldn’t wait to get out there to take pics and share the GOOD news! Those are some BIG lambs for that age! Agree Morgan! Me too! Thanks for reading!